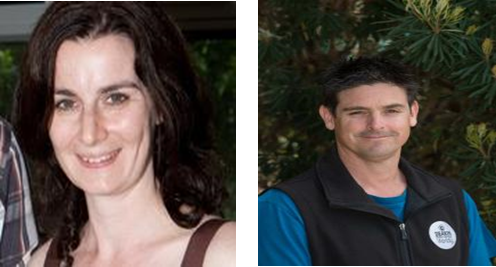 Rebecca L. and Ty M.
Title: Population genetic structure of the Australian caddisfly Lectrides varians Mosely (Trichoptera: Leptoceridae) and the identification of cryptic species in south-eastern Australia. Authors: Wickson, S. J.; Chester, E. T.; Valenzuela, I.; Halliday, B.; Lester, R. E.; Matthews, T. G.; Miller, A. D.
Source: JOURNAL OF INSECT CONSERVATION, 18 (6):1037-1046, DEC 2014. Brief summary of the paper: Lectrides varians (Mosely) is a large, ecologically-important, caddisfly found in perennial and intermittent streams throughout much of eastern Australia. We conducted a population genetic analysis to investigate the dispersal potential of L. varians, building on previous works that have assessed life-history traits associated with drought resistance. Genetic analyses of L. varians from the Grampians region of Victoria, based on mitochondrial DNA sequence data, revealed extensive gene flow and a lack of genetic structure across the sample range (I broken vertical bar (ST) = 0.04). This suggests that the species is a strong disperser and is likely to be resilient to increased drying and habitat fragmentation under climate change considering other known resistance traits. However, during this study, two divergent genotypes were identified, indicating a potential species complex. A comprehensive phylogenetic analysis of L.
varians across its current range was subsequently performed, confirming the species is indeed paraphyletic, consisting of one lineage that is restricted to the Grampians National Park and the other being widespread throughout south-eastern Australia. Further analyses revealed consistent morphological differences between these lineages supporting the notion that L. varians is a species complex. We discuss the implications of these findings with regard to conservation and taxonomy of this important invertebrate group.